Sunset Boulevard explores the human wreckage of the Hollywood dream, and uncovers grand tragedy where yesterday's fantasies crumble into today's harsh reality. Struggling B-movie script writer Joe Gillis (William Holden) is up to his eyeballs in debt, still hoping for a big break in Hollywood but reduced to fending off repossession agents after his car. On the run, he ducks into the mansion of Norma Desmond (Gloria Swanson), a faded star of the silent screen, living on past glory with her butler Max (Erich von Stroheim). 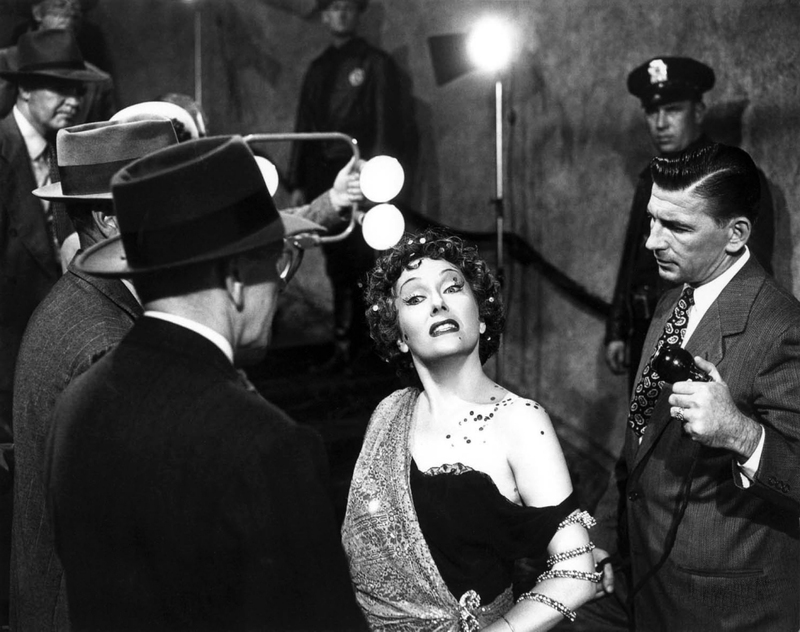 Joe: You're Norma Desmond. You used to be in silent pictures. You used to be big. Norma: I am big. It's the pictures that got small. 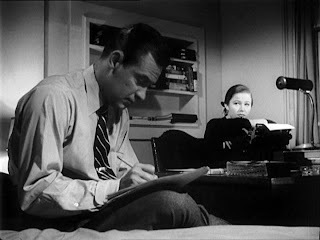 Norma still dreams of a big comeback, and commissions Joe to create a script that will turn her into a star once again. She also moves his life into her mansion, showering him with expensive gifts and suffocating him with her growing infatuation. Meanwhile, studio script girl Betty Schaefer (Nancy Olson) finds a sparkle of a good idea in one of Joe's discarded scripts, and encourages him to develop it. As Joe starts to sneak out on Norma and spend more time with Betty, Norma's delusions boil over. Norma: There once was a time in this business when I had the eyes of the whole world! But that wasn't good enough for them, oh no! They had to have the ears of the whole world too. So they opened their big mouths and out came talk. Talk! TALK! 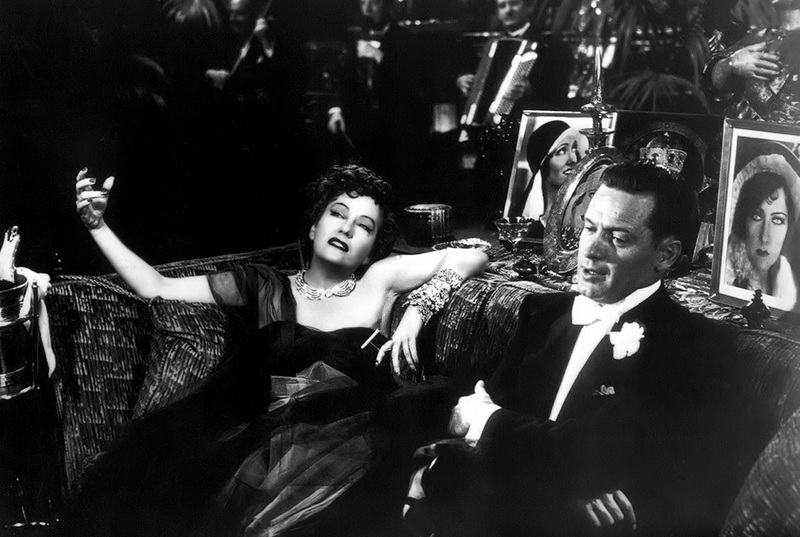 A sordid tale of lost souls seeking elusive greatness, Sunset Boulevard shines in its bleakness. At Norma Desmond's dark mansion, success lives in the past, in her warped mind, and in the greedy eyes of a desperate Joe Gillis, eager to grasp any opportunity to finally make money in Hollywood. Fuelled by non-existent fan adoration fanned by Max's conniving, Norma lives in her own mirage of a world, where glory still awaits, great directors want to work with her, and her star will shine again. And as long as the money is good and the wardrobe is snazzy, Joe could care less. Norma's dream world is his real ticket into the Hollywood bright lights. Director Billy Wilder, who also co-wrote the script, creates an intriguing alternate reality in Norma's cluttered mansion, the house as much a star of the film as Holden and Swanson. The mansion surrounds Norma with hundreds of pictures of herself; the living room screen projects Norma's own movies from the silent era; and Norma puts on private acting shows to entertain Joe and prove her enduring talent. In Norma's mansion, Norma still dominates the movie world, and under the watchful eyes of the ever-loyal Max, nothing in her reality suggests that she has long since been left on the scrap heap of silent movie history. The wholesome, optimistic Betty represents the functioning, contemporary Hollywood, and she tugs at Joe to come back to the real world. He tries to have it both ways, benefiting from Norma's largesse while working on an actual script and starting a relationship with Betty. But Norma exists in Norma's world only and therefore so must Joe. His duplicity cannot last, nor can it go unpunished. Gloria Swanson, a real star of the silent era, delivers a perfectly larger than life performance full of wide eyes, theatrical delivery and exaggerated gestures, filling the screen with the extravagant presence that dominates Norma's mind. Swanson's exceptionally domineering performance makes it possible to understand Norma's striking self-obsession. William Holden brings a dose of scrappy down-to-earthiness, Joe Gillis representing the Hollywood never-will-be opposite Norma's has-been. Wilder peppers the movie with other insiders. Silent era actor and director von Stroheim earned an academy award nomination as he provides Max with an authoritative aura as the butler who is so much more. Cecil B. DeMille appears as himself, the coveted director Norma wants to work with again. Sunset Boulevard is where dreams go to die. Joe Gillis arrived there almost sure that his dream was already dead. Norma Desmond's dreams are also over, but she will never know it. No matter. Before the end of her dream, she will demand, and get, one final starring role. Norma: You see, this is my life! It always will be! Nothing else! Just us, the cameras, and those wonderful people out there in the dark!... All right, Mr. DeMille, I'm ready for my close-up.